Cash Formula Review - 100K$ Bonus or Scam Software? Check Out! 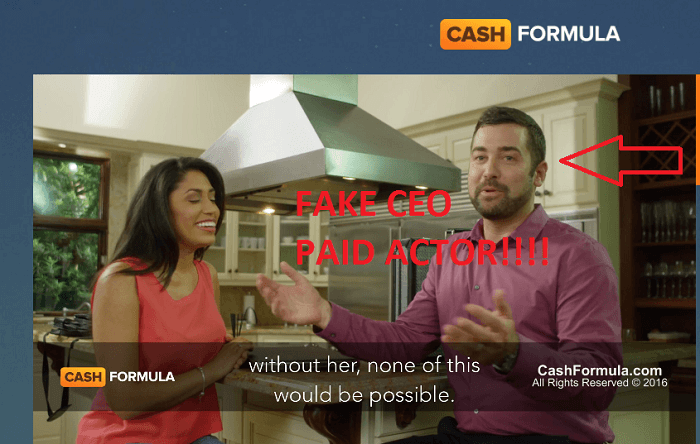 Cash Formula Review – 100K$ Bonus or Scam Software? Check Out! If you got any email from shady email spammers about Cash Formula that helps in making thousands of dollars, then we suggest you don’t ever think about investing in it. It is a fake trading software, and the whole system is created just to steal the money of innocent users. You might be wondering, how we’re sure about this, right? Actually after getting lots of messages from our readers regarding Cash Formula, we thought that this scam is very popular among users, and it needs to be exposed. By keeping this thing in mind, we decided to perform an in-depth research on this binary options software so that we can share the reality of this Cash Formula scam with our readers. Even lots of early members of Cash Formula have started complaining about it that it is not working the way it promised. During our research we found lots of proofs which are more than enough to prove Cash Formula SCAM and in upcoming paragraphs, you will read about all of them, but first you must read a little about what is Cash Formula and who is behind it. Cash Formula is another binary options trading software which has the potential to earn millions are by making few clicks. The software is completely automated and provide you winning rate of 78%. Due to this reason you can easily make $2100 a day just by clicking the mouse. It is different from other trading software and CEO of this system claims to increase it’s winning rate day by day by fixing the mistake done by it in past. Cash Formula software is available for free, and you don’t need to pay any hidden cost. You can activate your account and start trading by adding a minimum of $250 to your trading account. The software works on real time strategies and provides you 24/7 customer support that will help you in giving answers to all your queries. So this is what we got to know about Cash Formula software. 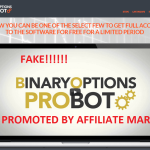 So are these claims real or just bogus like most of other binary options trading softwares? Read this Cash Formula review carefully to know about this system. 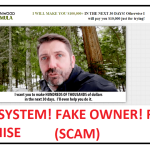 In the presentation video, alleged Tim Stafford only shared he is a co-founder of Cash Formula software and became multi-millionaire using this software. So we decided to explore more about him on the internet. Unfortunately, we got no success in finding information about him. Also, if he is a millionaire, then his work and success must by shared on any popular site. But we didn’t find anything media portal which is supporting his accomplishments. Now, this thing is entirely suspicious and created doubt in our mind that Tim Stafford is a Paid Actor, who is promoting this fake trading software. Looks like Cash Formula scam is managed by a guy with good budget. In the presentation, video time comes when members of Cash Formula start sharing their review about this trading software. 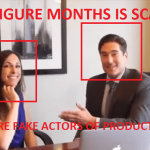 We have no doubt in our mind that all of them are fake, but we confirmed this by checking details of Lauren T, and she is a CEO and Entrepreneur. Now thing which is misleading and incomplete is the business which belongs to Lauren T. As she hasn’t mentioned anything about his business. Even when we checked about her on the Google.com, we didn’t find any business whose CEO is Lauren. Linkedin is used by the majority of Entrepreneur including me. Now if Lauren is CEO of XYZ company, then she must be using Linkedin too. The Even owner of Mashable, The Verge, and another site has Linkedin profiles. Still guys, we are not 100% sure that she is a paid actress, but the thing which is fishy is if they are having so many success stories, then why we are not able to find any of them on this web. We have shared this with you so many times that making $20,000 a day using binary options software is not possible. Especially, when you’re starting trading with $250. Yes, you can earn a profit using binary options, but it is not feasible that you can make this much amount of money in just one. In the video, Tim shared that his secret of making money is the book which he pulls out from the briefcase and put it back in it. If he want to help users in making money, then why he didn’t share anything about that book. Even the worst part is that he didn’t even mention the name of his book and show it up in a way that no one would find out the name. We have no doubt; it is all the misleading information, and there is no book and no secret behind Cash Formula. It is complete story plotted in a way to gain the trust of users. If you visit the official website of the Cash Formula, a popup will appear with a video telling you that we also hate popup, but this popup comes for you with something special in it. If you don’t want to watch it, just close it and it will never appear again. But the worst part is that it still appearing again and again. 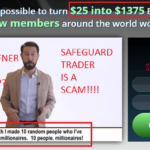 Now this is scammy and in most of the case used by fake trading software forcing you to join their fake program. Our Conclusion – Cash Formula Software seems to be a scam. Why to risk your money? 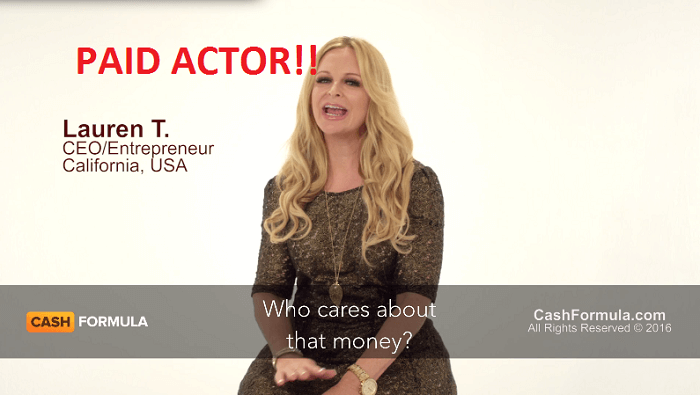 Even if you will check the full pitch video, you will find lots of reason why Cash Formula software is just another scam. But the way the whole system is set up by Tim looks misleading and malicious. And after completing our research we made a conclusion that we were right and this Cash Formula software is a SCAM. So it was all about Cash Formula review. This trading software is full of misleading and incomplete information. By keeping all the things, we’re not suggesting this trading software to anyone. It is SCAM, and you need to stay away from it. 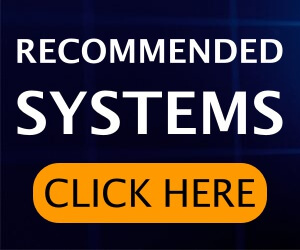 You can check our recommended signals if you want to invest into legit systems. your suggestion on good strategy to trade binary. You can join Crunch Tech software.